With Periscope, Live Stories (Snapchat), and Facebook Live, who’s still creating content for YouTube? Nike, Mattel, and some of the most successful brands, that’s who! YouTube has over a billion users—that’s almost a third of people on the Internet. Hundreds of millions of hours are spent on YouTube generating billions of views, every single day. The number of people watching YouTube per day is up by 40 percent in the last two years. The number of channels earning six figures per year on YouTube is up by 50 percent. There is still a lot of life in YouTube. If you are thinking of taking it easy on this platform in favor of shiny new channels, you might want to reconsider. “But I have been at it for years, and I am not really seeing results!” I hear you cry out. As apparent from the statistics above, the reason you are not seeing results is not YouTube’s fault at all. 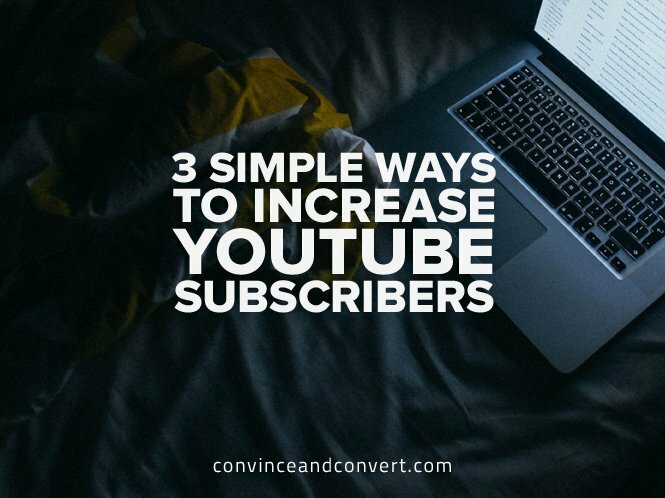 Read on—here are three simple tricks to increase your YouTube views and subscribers. Did you know that your video thumbnail image could be the real culprit behind your dwindling numbers? Or that unchecking and checking a button could be the ultimate answer to your problem? There are many small but significant steps you need to take to ensure your YouTube content gets the attention it deserves. Take the thumbnail image, for instance. In the split second’s time when viewers have to decide which video they will watch, your thumbnail image might be the ultimate game changer. This a very small but important point to remember every time you upload a new video. Similarly, there are many small steps you can take to increase the number of subscribers for your channel. For instance, end cards with a large Subscribe button can subtly motivate your viewer to subscribe to your channel. Allowing embedding can also mean more exposure, which could eventually lead to more subscribers. There are a host of actionable advanced tips to gain YouTube Subscribers that don’t take much of your time but can significantly affect your subscriber count and engagement. Make all these changes, and you will see your subscriber count go north. Isaac Quiroga, Mattel’s YouTube partnership and programming strategist, runs 20 channels for the brand and loves to geek out on YouTube. However, YouTube analytics have their limitations, so he chose Tubular (Nielsen for branded web video) to get more insights about content that works on YouTube. He quickly found out there was a huge community around American Girls stop motion videos which were quite popular on YouTube. This led him and his team to create a tutorial for creating stop motion videos with American Girl toys and helped them get a 300 percent lift in views. They have a huge number of fans in the form of stop motion video creators. If you are seeing a drop in views and engagement and are wondering what went wrong, take a page from Mattel’s book, and let the numbers guide you. As a content marketer and strategist, you should be able to predict in advance how a video will do, and tools like Tubular help you do just that. If you know what will work and what won’t for you, you will churn out better and better content—the number one way to entice your audience back to your channel again. There are many solid reasons why influencer marketing is good for your business. The best part about influencer videos? They’re not only published on your own channel, but on influencers’ channels as well, which ensures maximum views and a steady rise in subscribers. No matter which industry you are in, there are many vloggers and influencers that can help you gain more subscribers. Whether you want a recipe to be made or an app to be reviewed, you’re sure to find many YouTubers that can help you out. There are many places where you can find YouTube influencers, including FameBit, Bloggers Required, and our friends at TapInfluence. Bloggers Required is a great place to find vlogging assignments from Australia to Europe through to USA and Canada. They have over 20 assignment categories, from accounting to video games and everything in between. Influencer marketing allows you to piggyback on influencers’ fame and see an instant jump in your numbers. If you are not using this shortcut to bump up your subscription count, you might be missing out on a great opportunity. 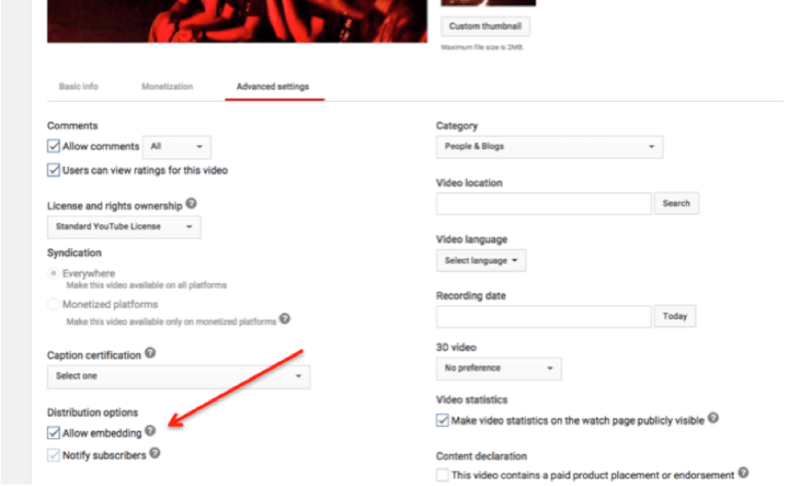 Make your YouTube channel act as a honeypot. The roadblock you’re encountering now could be something as simple as a missing CTA button that’s ruining your numbers, or maybe your content quality might be to blame. If Mattel hadn’t produced content that their audience wanted, they would have never seen such amazing results. As a last resort, when everything else fails, you can attract more subscribers through influencers. The number of people watching YouTube per day is up by 40 percent in last two years. Your video thumbnail image can determine your success or failure. Are your videos embeddable? Find out now. Make sure you’ve optimized the technical aspects of your video production and publishing. Pay attention to numbers, your own as well as overall YouTube numbers. Watch for trends like a hawk (preferably using a tool). Find as many influencers you can, and watch your channel become a hit. These three methods are sure to turn your channel into a sweet, fragrant honeypot—you can’t afford to not try them!